Description: Darice Earring Stoppers are used on the back of post or fishhook type earrings for security. Approximately 1/8 inch. 36 pc. Clear. 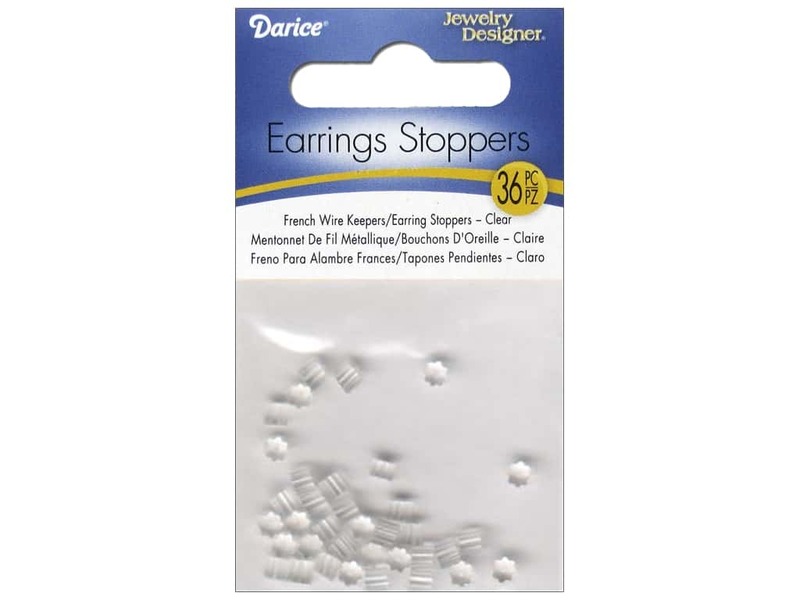 Darice Earring Stoppers 36 pc. Clear -- CreateForLess 5.00 out of 5 based on 2 ratings. 2 user reviews.